If your looking for a tire for all around performance the Zilla is the best IMO. They ride very smooth. They will surprise you in the mud as well. If you like to trail ride and them play in the mud a lot....you will NOT be disappointed in the 'Zilla. They wear great as well. I have the 27's and I love mine. We have a Set of these on our brute force and We are very impressed. Next to Silverbacks or Oulawas Zillas are about as best as you can get. Very good all around tire and Grass Destroyer. Love the zillas. 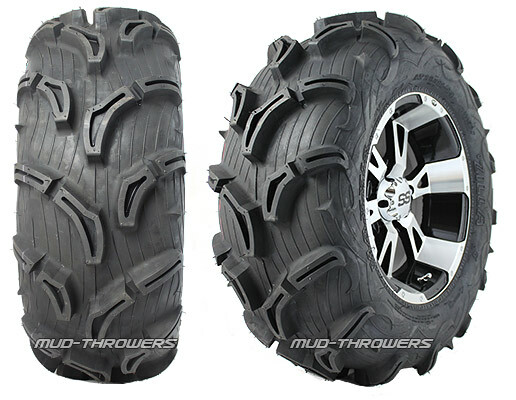 Went from some mudlite 27s to 30 inch zillas on a foreman 500. Made a huge difference. These tires let you slide around and have fun, but still grab in the mud. Ride is smooth once you get above 2-3 mph. Handle and steer well on asphalt too. Had them just over a week now. Night and day over my stock tires. Equally impressed with performance on rocks, logs, trails and even pavement. Running 5psi in the fronts and 4psi in the back. Love it!! !